The kind of diversification that international funds offer should be there in some amount in every equity portfolio. 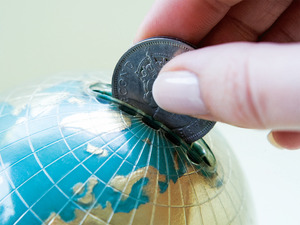 Have you ever invested in international funds? Chances are you haven’t. There are only a few types of mutual funds that are simultaneously so useful as well as so ignored by investors as international funds. With the tax disadvantage of these funds over domestic funds gone, it’s time to fix this gap, and this is something that you should definitely be looking at. It’s a tragedy that this category of funds is an utter failure in India. Failure not as investment vehicles but in terms of the response of investors, even though the case for putting some of one’s money into international funds is pretty clear. Funds that invest abroad have been around in India for almost two decades now and after all this time, they account for a mere 0.3% of the total money in equity funds, which is just about Rs 2,300 crore out of Rs 8 lakh crore. Compared to the scale of the entire industry, this is nothing but a rounding error. If you were thinking that Rs 2,300 crore just looks small in comparison to the enormous size of the total equity investment, that would be false comfort because the amount invested in these funds has been falling in absolute size also. Back in February 2014, Indian fund investors’ international exposure hit a peak of 2.1%. At that point, international funds were worth Rs 3,667 crore out of an industry equity total of Rs 1.71 lakh crore. That was actually quite a decent size for what is not intended to be a mainstream category anyway. After that, it has been downhill all the way, both in the actual amount of money and the percentage of total equity investments. After looking at this, the normal thing to say would be that they have been rejected by Indian mutual fund investors. If that were the case, I would say that maybe there is no point to these funds. However, I feel that this is not the case. In reality, a vast majority of Indian mutual fund investors have never considered the option, never heard of international funds, and never carefully thought through the logic and the arguments about why they should put some part of their money into international funds. Part of the reason has been that the fund companies have not sold these funds intensively, but that’s a chicken-or-egg situation. A commercial organisation that has many products sells what people buy. The kind of diversification that international funds offer should be there in some amount in every equity portfolio. Despite all the talk of globally-linked markets, Indian equities do not have a step-by-step correlation to international ones. Investors should again look at international funds closely because historically, the biggest argument against international funds was the taxation. Returns from equity funds in India were zero tax but this exemption was available only to funds that invest in domestic equity. Returns from international equity funds were, at best, subject to 20 % tax after indexation. This gap has now closed. Domestic equity fund returns are now taxable at 10% without indexation. That means that practically speaking, the tax advantage is a toss. In fact, depending on the indexation, there will be many situations where you may pay less effective tax on foreign equity. For much of the period for which easy international investing through mutual funds has been possible, Indian investors haven’t paid much attention to it because the Indian stock markets were doing better than the others. And since investors start with a bias for the familiar, they haven’t paid any attention to the fact that slowly but surely, a combination of equity performance and the rupee’s decline has made the logic of such diversification stronger and stronger. Through these years, while big businesses and the super-rich have responded robustly to the easing of capital outflow, the opportunity has mostly been ignored by the smaller investor.